Super Smash Bros. Ultimate has arrived and everyone is here! Shacknews' Ultimate Character Profiles continue with Animal Crossing's sole human resident. After months of waiting, Super Smash Bros. Ultimate has arrived! Nintendo's mascots have been bashing each other for almost 20 years, with Ultimate acting as the culmination of the franchise. Every single fighter from every Smash Bros. game so far is here, along with a few newcomers. Today, we look at a returning character from the Wii U/3DS era of Super Smash Bros.. The Animal Crossing Villager is whoever you'd like him (or her) to be. The Villager stands out as the only human being in an entire world filled with walking, talking animals. The idea is to live your daily routine alongside these animals, taking part in everyday activities and finding new things to do on a daily basis. 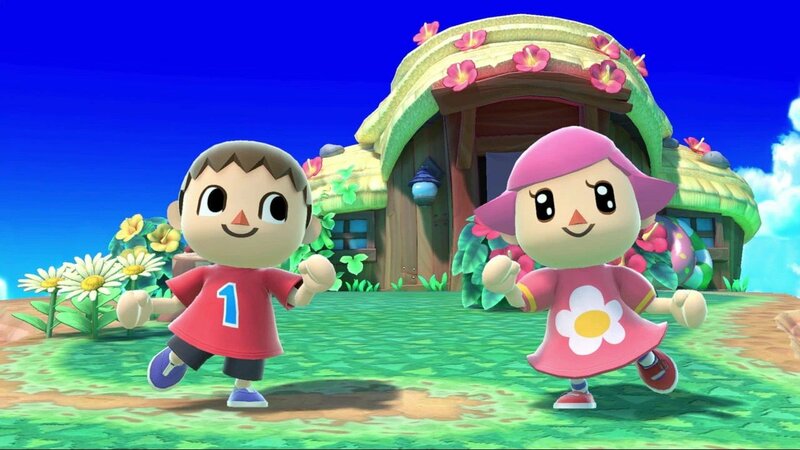 The Villager has moved on up in the years since Animal Crossing first began. In Animal Crossing: New Leaf, the Villager began life in an entirely new town and took up the position of mayor, with Isabelle serving as secretary. To the Villager, competing in Smash is just another part of the daily routine, along with fishing, picking fruit, and running away from bees. Villager isn't the strongest or the fastest character. His advantage is, appropriately enough, as a camper. Villager can set traps and wait for an opening to strike. He can also keep his projectile-based opponents off-balanced by taking their best shot and simply putting it in his pocket. Pocket (Neutral B): Villager can swipe an incoming projectile or an item and stuff it in his pocket. If he uses the move again, he'll unleash what's in his pocket for double damage. This is a fancy trick move and players with fast reflexes can give their opponents fits with it. The best part is, it can now hold projectiles/items indefinitely. Balloon Trip (Up B): Villager takes a Balloon Fight-style flight upwards. This move deals no damage and is strictly for recovery. It can get good distance... unless the balloons get popped. Lloid Rocket (Side B): Lloid will fly sideways slowly and gradually picks up speed, exploding on impact. Its slow startup allows Villager to ride it, which will up its damage and KO potential. Timber (Down B): This move requires multiple steps, but it can pay great dividends. The first step is planting a tree. Then Villager waters it. 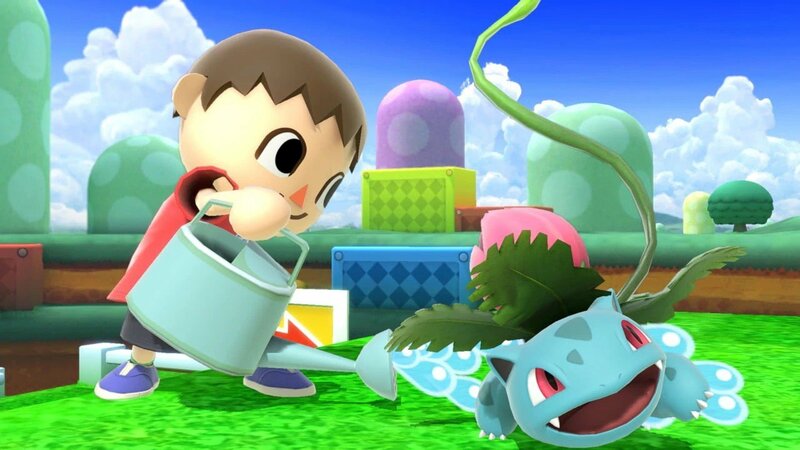 Once the tree grows, Villager can chop it down, where it'll fall on nearby opponents for massive damage. This is a very slow move and slow process, so casual players shouldn't use this move lightly unless they're feeling really confident. Dream Home (Final Smash): Tom Nook, along with Timmy and Tommy, will build Villager a special house... on top of an opponent. The house then explodes for an almost-assured KO on the poor soul stuck in the house, while dealing massive damage to surrounding fighters. Villager needs to rely on his trick plays more, because he's noticeably lighter than he was in the last game. That's bad news and puts him at an even greater disadvantage against heavier fighters. Villager has some new neutral options, including a powerful jab, but he'll still want to avoid going toe-to-toe with the likes of Bowser. 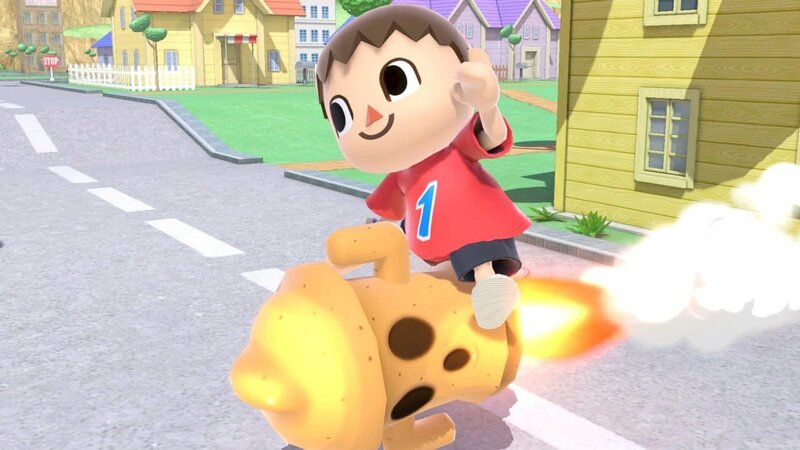 If Villager can deal heavy knockback damage, either through his Lloid Rocket or his newer neutral options, he now has a more reliable Meteor Smash option at his disposal. Down-air will now consistently carry Meteor Smash properties, acting as an early finisher for advanced players. Timber is still a tough move to land reliably, but the reward for landing it is higher. Timber now deals greater damage and the tree will even bounce, giving it more of a chance to hit opponents on the rebound. Prior to Ultimate's release, Samuel "Dabuz" Buzby weighed in on Villager's refreshed move set. He discusses Villager's new jab option, discussing its combo potential while also lamenting the lost options provided by his axe. He also talks about the character's improved dash attack and his improved forward-air slingshot, the latter of which acts as a better zoning option. James "VoiD" Makekau-Tyson adds his two cents on Villager's zoning potential, particularly with his special moves. He also has love for Villager's new jab options and makes sure to point out the great improvements to the character's aerials. Lastly, we look at the crew from VGBootCamp. They take Villager for a live first impressions hands-on with the final version of the game, weighing with their thoughts and analysis. Super Smash Bros. Ultimate is out now on Nintendo Switch. We're still going through every single character, so be sure to check back in often for more profiles. For more on Super Smash Bros. Ultimate, be sure to check out our Super Smash Bros. Ultimate walkthrough and guide.